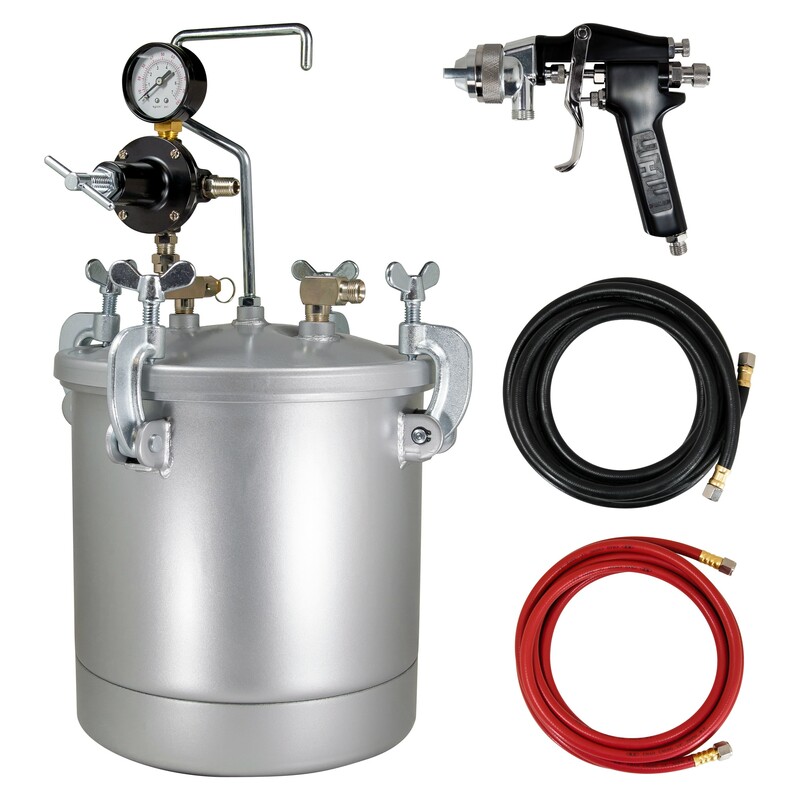 Complete spray gun system for large volume automotive painting. Features a Teflon coated tank for easier clean-up after the job. Can be used to shoot lacquers, basecoat, oil based paints, latex, stains and varnishes.